2) Rewards. Runners are proud to earn recognition and bling, and Racery scratches that itch in lotsa ways! As the month goes by, runners post their daily training mileage into your store’s unique virtual route, Racery creates digital awards, achievement notices and shout-outs that reinforce each participant’s self-image as a runner rather than couch potato. This digital bling can include your store’s branding. 3) Acceptance. New runners often worry about lagging behind or being judged by more experienced athletes. 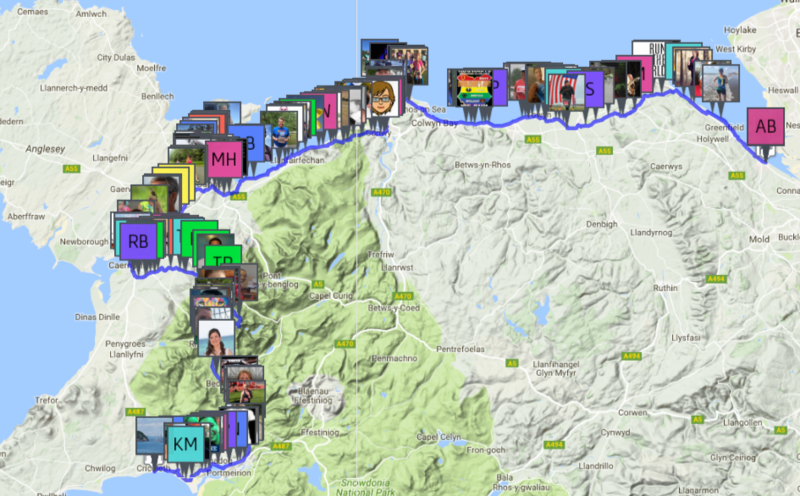 With Racery, each mileage log advances the runner’s personal avatar on the online map and is displayed in a real-time feed of all the store’s other runner logs. A virtual race is perfect for back-of-the-pack runners, because it stresses cumulative miles rather than miles per hour. 4) 24/7. Though your store’s running group may convene physically just once a week, Racery’s map and feed let participants commune every day — sharing new mileage, cheering each others’ new achievements and swapping photos of trails and gear. 5) Buzz. 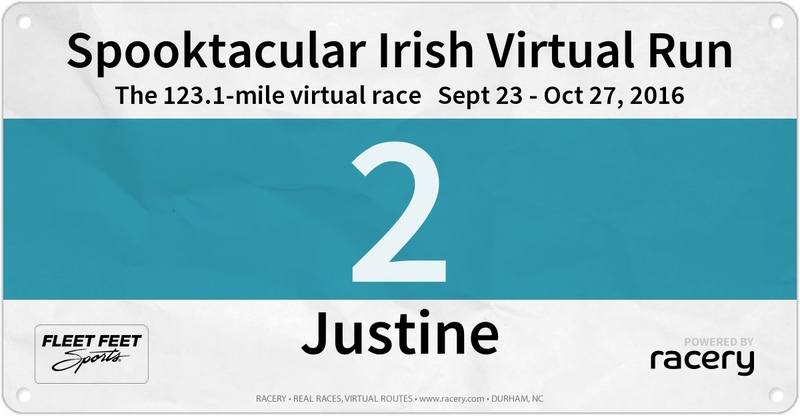 Your race’s digital bibs and race awards can feature your logo. The digital bling is optimized for social media sharing, so our virtual races encourage healthy social media posting, which both pleases new runners and spreads your store’s brand. 6) More meaning. Unmarked by medals or certificates, everyday runs disappear as soon as the sweat dries and endorphins subside. But when miles accumulate on a virtual route, nothing gets lost. As a runner sees her mileage add up day by day and watches her avatar’s progress, achievement feels more tangible… and bigger. 7) More bonds. Each runner’s sense of accomplishment is magnified by the fact that other runners are watching. Just as a group run beats a solo run for fun and encouragement, sharing miles with other runners on a virtual route creates a virtuous cycle of cheering and support. We’ve seen new friendships and even romances blossom in virtual races. New runners rely on your running store for expertise, community and support. A virtual race helps you turn these weekend warriors into loyal patrons who repeatedly buy shoes and other gear. Expanding your running store’s training program with a basic virtual challenge in places like Paris or Rio is free and fast. One of our staff will be happy share to insights based on our work with other running stores and clubs. Fill out this form and we’ll be in touch! Virtual races help attract new customers to local running stores! 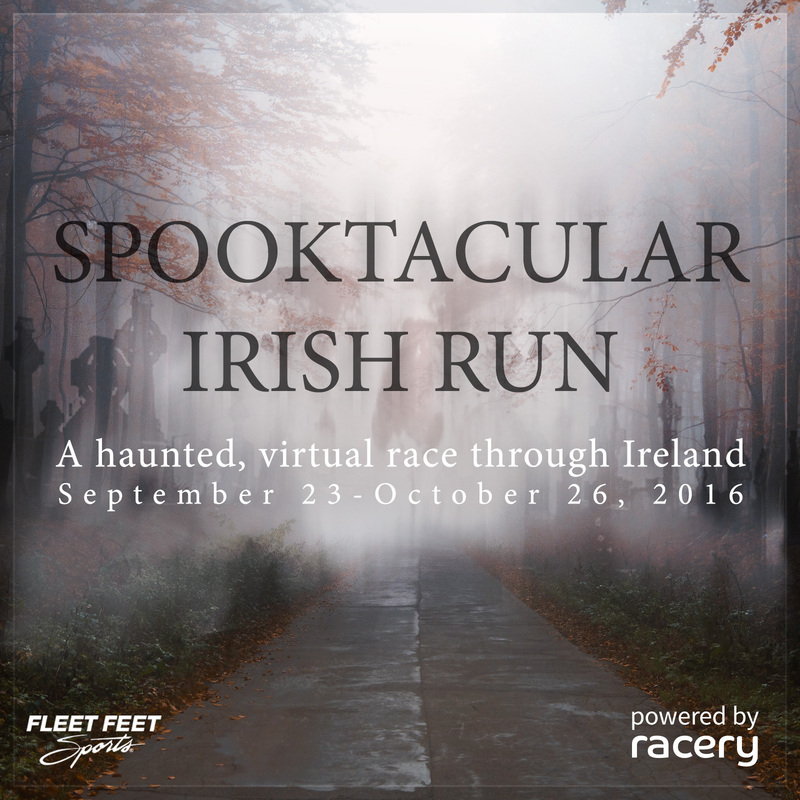 Challenge colleagues to a virtual race around Rome, Italy!